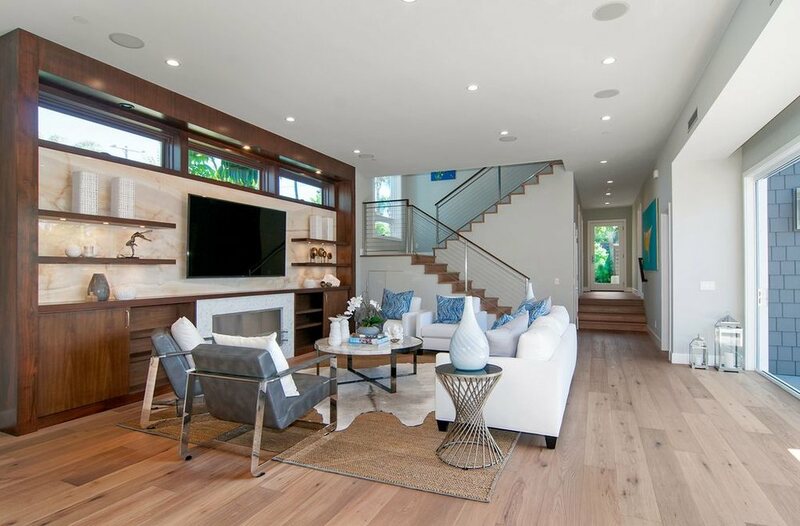 This is a home in Kensington that was recently remodeled and accented with a custom area rug in San Diego with the help of one our designers. She was able to use a sisal weave material with a very nice cloth border, but if you look closer you can see that she used a metal stud for an accent all the way around the custom area rug border. This was a 2 trip process where we ordered the materials and brought out the rug to the job site and laid out a custom template for the fireplace curved cut out. Had the materials shipped to my fabricator, then took the custom area rug into San Diego to apply the special metal studs that were hand selected by Amy Meier. As you can see the rug turned out awesome.